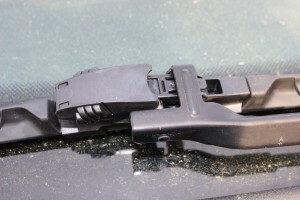 Wiper blades are one of the most important things on a vehicle. Sadly they are also very often overlooked. Or people opt for the cheap $4 blades that do not last, or do not properly clear the windshield. As a dealer tech, I am very much a fan of factory wiper blades. So when the folks at RainEater asked me to check their wipers out, I jumped on that challenge. Overall I was impressed with the build quality of these wipers. 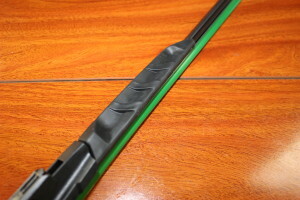 I also like that they are not capped at the end of the blade like the factory ones. That is one less failure point. Trouble viewing? Watch “RainEater Wiper Blade Review ~ Video” on YouTube. Overall I think these are pretty good wipers. I left them on my Passat for a long term update. As always, post your comments below. If you have a tool or product you would like for me to review, use the contact me form. Or email me Charles(at)HumbleMechanic(dot)com, and put TOOL REVIEW in the subject. Thanks for the review, it’s been a year since I got my GTI and I’m starting to notice some streaking. Went ahead and bought a pair of these instead of the OEMs to have a few bucks. Made sure to say I heard about them from you.